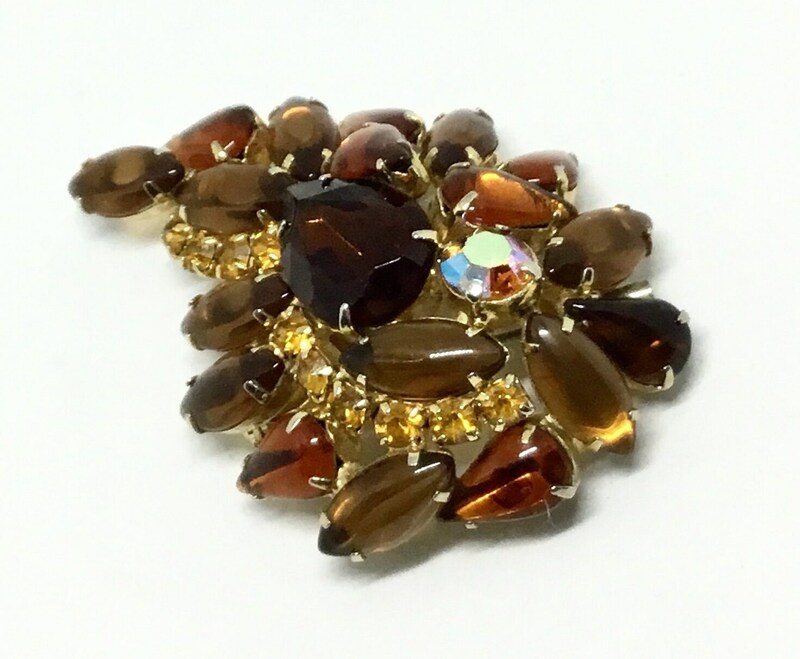 This is a wonderful vintage goldtone rhinestone brooch. 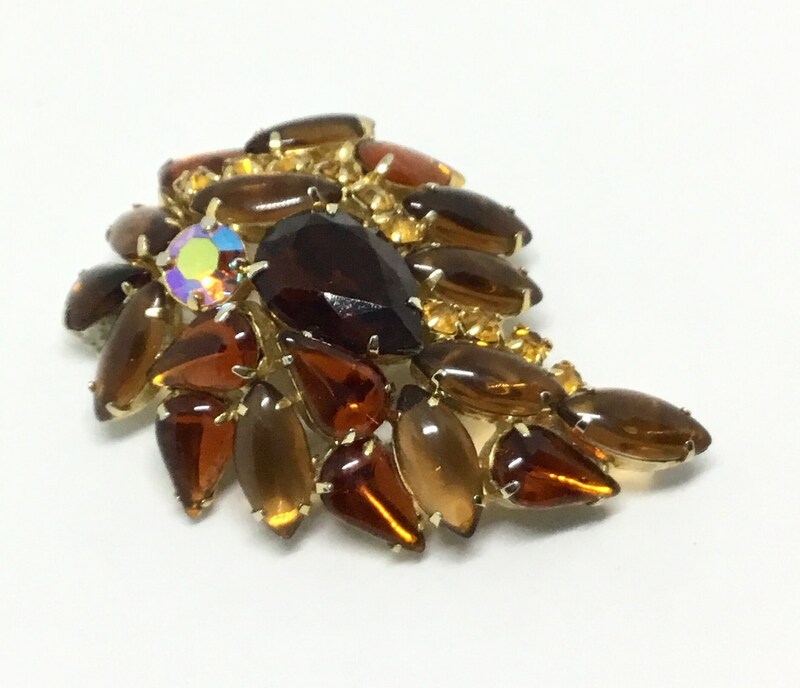 There are shades of amber colored smooth rhinestones in open and closed back settings. 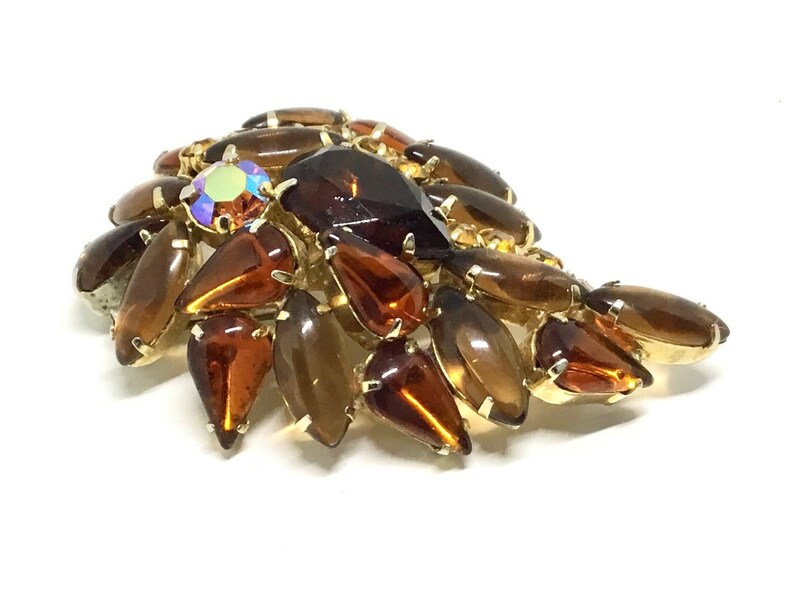 Their shapes are teardrops and navettes. 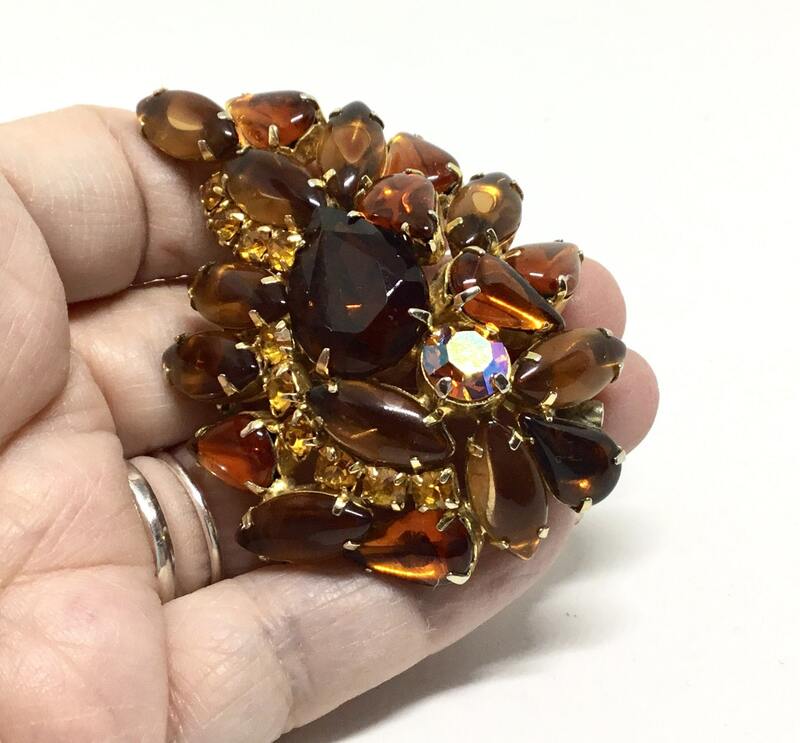 The center is a large faceted dark amber rhinestone next to an amber Aurora Borealis chaton. 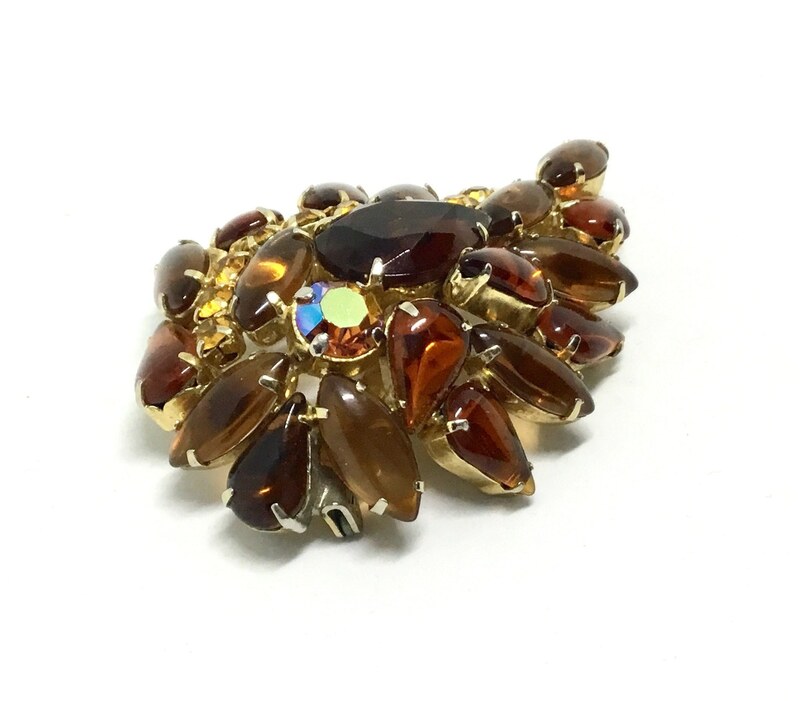 There are also a number of small yellow chaton rhinestone accents. 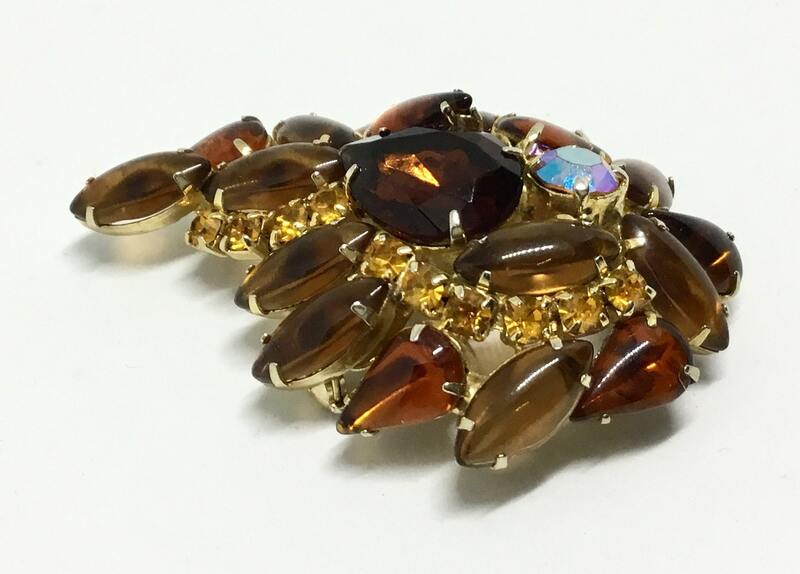 All of the rhinestones are present, and prong set. 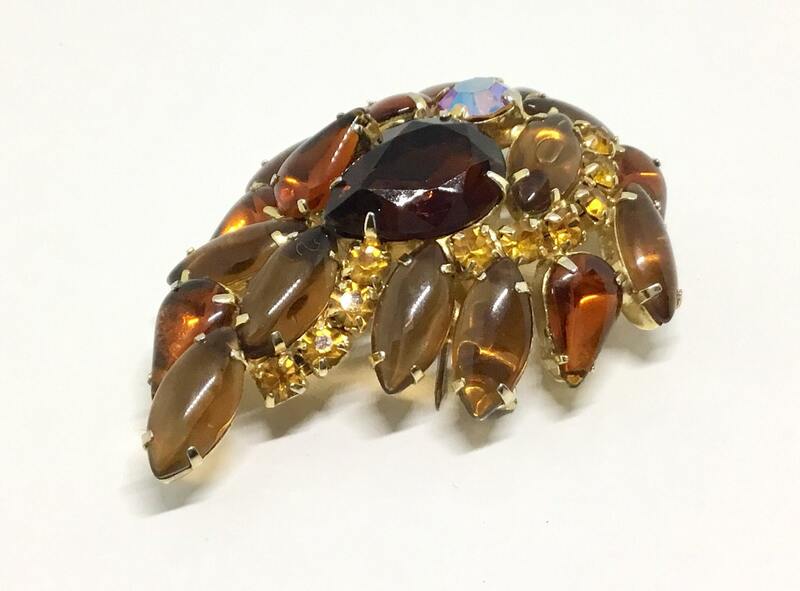 The brooch design is probably a leaf and it does not sit flat but is more of a dome. 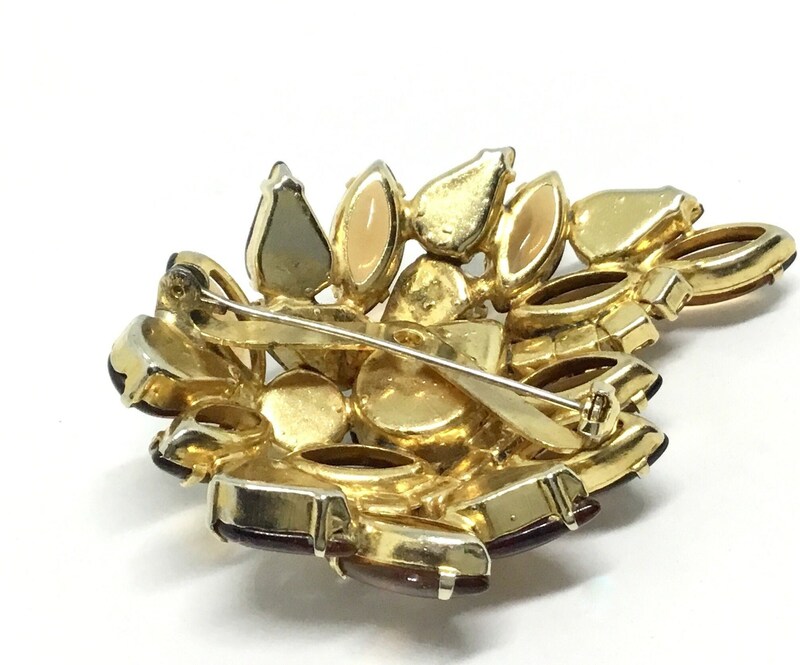 It measures 2 1/2” x 1 7/8” and the pinback is straight and works smoothly and securely. 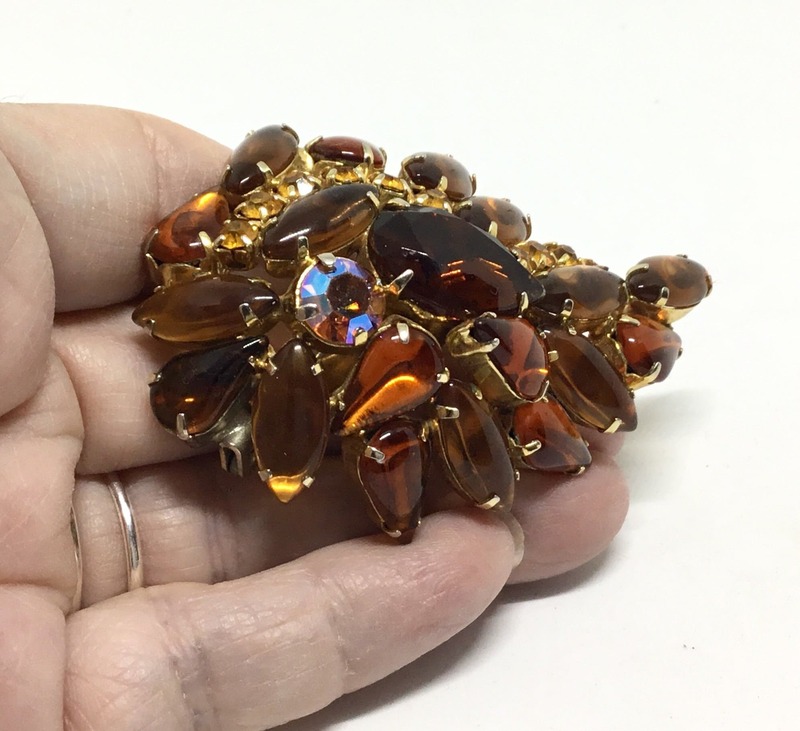 There is a small amount of wear to the back of the brooch. 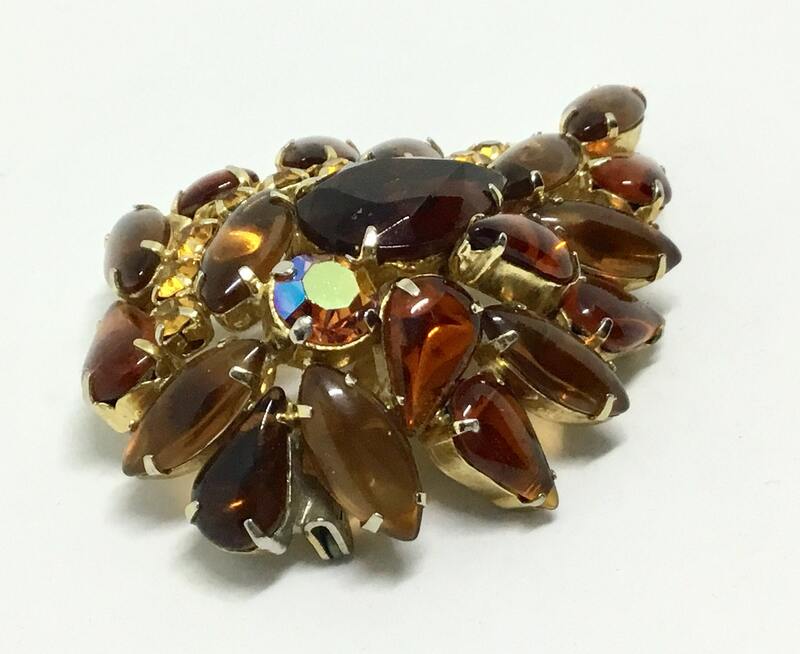 A beautiful large brooch ready to wear and look great!